On January 22, 2019 the U.S. Department of Defense issued a startling report of findings of the impact of climate change on the nation’s military bases. The issuance of report is required by law as part of the government appropriations process. Especially significant to us was that this new report clearly and decisively confirmed that more severe recurring flooding is a greater problem on the mid-Atlantic region of the U.S. than previous reports predicted. (The report includes Virginia Navy facilities but apparently not Dover AFB that is closest to us across the Delaware Bay). In other words, our observations of more severe flooding are not ‘in our heads’, as some politicians contend, but are actually documented at most military bases across the country. One of the most significant findings of the report was that frequent flooding is now an issue at 2/3 of the nation’s military bases and is already costing us more money and loss of use. The flooding impact now is at the level that was previously forecast for 2040. In other words, flooding is a more serious problem than earlier forecasts. This confirms our anecdotal observations on the Delaware Bay coastal shoreline. In the past week other news reports said that the President’s office intends to hide or challenge this information by offering positions of power to a few people who oppose the prevailing scientific views on climate change. We would have dismissed this as the usual political bantering except that now the official government report now seems to be removed from the Department of Defense web site. The report was originally published on the official government site at: https://media.defense.gov/2019/Jan/18/2002081124/-1/-1/1/https://media.defense.gov/2019/Jan/18/2002081124/-1/-1/1/FINAL-CLIMATE-REPORT.PDF. That repot has been removed. An archived copy of the report is still available on a non-governmental archive site: https://www.documentcloud.org/documents/5689153-DoD-Final-Climate-Report.html. The archived report appears to be based on a scan, not a PDF document, so some features are lacking. We join with scientists and other data-driven public policy decisions makers to denounce the hiding of facts and information for political purposes. What this means for us, simply, is that Baysave equity crowdfunding strategy should focus on men who are active is social media platforms or otherwise well-connected in their communities. Other lower risk debt-based projects like private mortgage might be more interesting to female and institutional investors. This research finding appears to be consistent with earlier research and our own observations. Specifically, it addresses the ongoing conflict where the larger private investors want to discourage us from publicizing news of bayshore redevelopment while, in contrast, I see public media and social medial more frequently as a source of strength. Whenever publicly disclosed information is used against us in a marketing or legal situation, I hear a “told you so” from investors who prefer to remain private. This is a useful reminder to us as we revise our 2018 strategic plan documents for 2019. 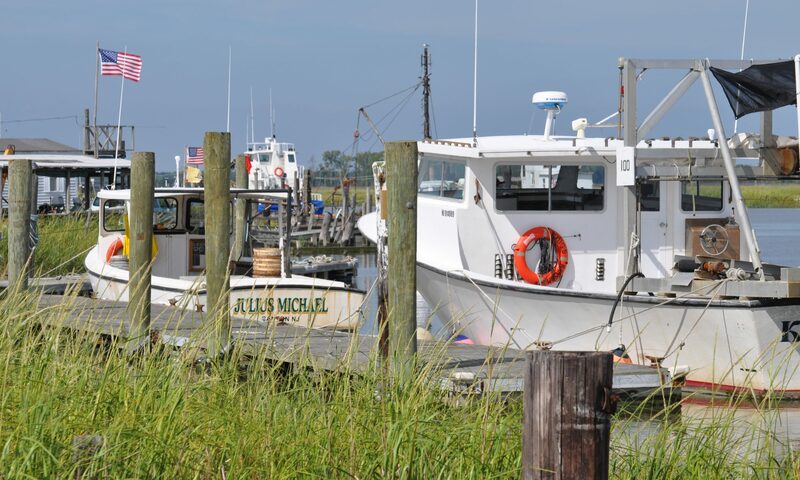 An adverse court decision yesterday poses a temporary setback to local small seafood businesses at the Delaware Bay. The ruling will be appealed and brought to the attention of local lawmakers. Baysave, along with our partners, is involved in several projects to improve the financial and business security of the bayshore region’s watermen. We recognize that environmental sustainability goes hand-in-hand with economic sustainability of the local communities along the Delaware Bay. There must be a balance in considering the needs of all stakeholders. Imbalances historically lead to disaster in all types of ecosystems. One sustainability initiative involves the need to bring local commercial crabbers access to wider markets and better product pricing. We initiated a number of projects: a shared use storage cooler, formation of a multi-state harvesters cooperative, and online lead generation systems to connect buyers and sellers through online and social media. In 2018 Baysave engaged two professional marketing firms and several volunteers to post social media messages across a broad multi-state network to promote crabbing. Direct-to-consumer sales result in significantly higher price to the crabber. Of course, this effort is not popular with seafood wholesalers, powerful regional businesses with a reputation of using ‘muscle’ to force the crabbers into submission. The wholesaler controls the volume of harvest, the price and often acts as banker for smaller crabbers. The local New Jersey crabbers compare their industry to the feudalistic systems of generations ago using them as indentured servants who never quite get out from under the control of their dealer. In other states these independent seafood harvesters have increased sustainability by forming cooperatives. Baysave proposed this idea and received funding in 2018. Within days the wholesaler retaliated with a complaint. Fish and Wildlife demanded to see records of crabbers who provided crabs to us last fall. The state didn’t seem to recognize that we didn’t sell any crabs at all. Even though we explained that Baysave is an online lead generator for members of the cooperative, and not a party to any transaction involving crabs, Fish & Wildlife believes that current state law does not make a distinction. If we reveal the identities of the crabbers who participate in the cooperative, they would face retribution from other buyers. Past threats against the crabbers and co-operative members are well documented but not prosecuted. The system of feeding sales leads to crabbers worked well until yesterday. Regional Court Justice ruled that the activity of Baysave’s volunteer controller falls under the definition of persons required to keep records. Novak admits to ordering and leaving cash at the marina in advance to pay for 4 to 5 bushels of crabs over the course of the season for personal consumption at barbecues but that he did not drive to NJ on weekends where the barbecues were rained out. He suggested that the crabbers attempt to resell the crabs to minimize the financial loss. He posted messages on social media offering the crabs that were available at the marina but had no involvement in either the buying or selling transactions. A sign advertising crabs was posted at the marina, in fact has been posted for more than a decade, advertising crabs. Fish & Wildlife does not allege that Novak had any involvement in posting the sign but apparently the law enforcement officer feels that he should be responsible for the transactions that crabbers May have conducted for the crabs that he originally purchased for personal consumption. This legal issue has never before been raised for the many decades and millions of dollars that are caught, landed, and sold at Money Island. We suspect that Fish & Wildlife is acting to protect the large wholesalers at the detriment of independent crabbers who wish to advertise and sell their crabs. This posting of signs by crabbers at marinas is a common practice statewide. We are not aware that any of the other marinas that posted crabbers’ signs have ever been prosecuted. Fish & Wildlife Division demanded records of these transactions if they occurred. Novak had no records and no information of whether transactions actually occurred. He called the people who he suspected might have bought or sold the crabs but all denied involvement. It seems clear that they are afraid of retaliation by the wholesaler if their name is reported. F&W issued a citation to Novak for his remote role in the cancelled crab deliveries but did not cite any parties on site in New Jersey. Judge Van Embden ruled that Novak’s actions in advertising the crabs by sharing Facebook posts made him legally responsible for keeping records of the crabs despite not taking delivery of them and having no knowledge of the identities of the crabber(s) or details of possible transactions. Novak said that he intends to appeal the ruling based on both technical errors at trial and the merits of the case. Representatives of the new seafood cooperative met with local legislators recently to discuss the need to prevent these restrictions on seafood marketing. We believe this court ruling may provide additional support for our request for legislative action. Meanwhile, Baysave will resume discussions with our state legislators on the need to change the state law to protect off-site seafood sales lead generators. This will help our local crabbers who do not otherwise have access to the type of online marketing support that a cooperative can offer. The cooperative lead generation system is working well for crabbers in Delaware and Maryland. We think it is just a matter of time until New Jersey clarifies it’s applicable law. In the meanwhile, Baysave will focus only on out-of-state fisheries products and will not promote any New Jersey fisheries product.